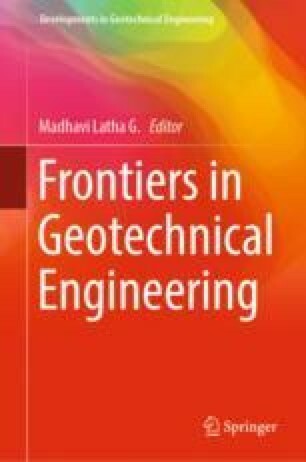 The representativeness and applicability of engineering parameters for geotechnical design is linked to the quality of site characterization. Over the years, a significant effort has been made to improve and refine the in situ testing and soil sampling techniques. Despite these, there is overwhelming evidence that conventional tube and piston samplers are still commonly used for soft soils. Keeping this in mind, the paper aims to guide the readers about the consequences of sample disturbances on strength and deformation behavior of soft clays. In addition, recommendations are made to help them to assign degree of confidence to the soil parameters to be used in settlement and stability analysis. The authors of this paper acknowledge the R&D and the funding partners of Natural Hazards—Infrastructure for Floods and Slides Program—NIFS (www.naturfare.no). The OFFPhD program by the Research council of Norway (www.rcn.no) and Norwegian Public Roads Administration are gratefully acknowledged for their supports. It is worth mentioning that this paper partly presents a summary of the work that has been presented in various arenas including at 17th Nordic geotechnical meeting (NGM). Readers are encouraged to refer Thakur et al. and Degago and Grimstad  for further details.